As a part of our article on Cloud Computing series, in this article will concrete on the opportunities delivered by Cloud Computing . Cloud computing offers to use the small business just like an enterprise set up at a fraction of a cost. For example, professional solution like groupware, CRM, PRP can be used as a packaged solution provided by bigger cloud computing solution providers like Rackspace. This package system offered by the cloud computing service providers reduce the recurrent costs have to be carried otherwise by the smaller companies. More over apart from the Hard ware and soft ware costs due to electricity and man power. Previously, it was not possible to run a free application or a free project on Cloud Computing infrastructure, simply because of lack of funding. Providers like Google App Engine allows to run an own instance of the end user’s service on their cloud computing free of cost up to a level, which in most cases is more than enough. This is allowing the open source, free projects or the enthusiasts to use the high cloud computing end infrastructure to experimental or develop excellent softwares or services completely free of cost. We are looking towards more such help from other Cloud Computing providers as well. Google’s several apps like Flicker or Picasa is basically deployed their own Cloud Computing platform. So, it is not only the business segment or the developers, but also the general people are getting more and more advantages from Cloud Computing. This Article Has Been Shared 809 Times! 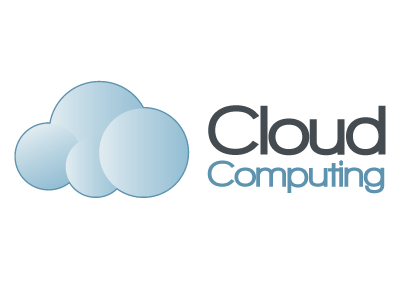 Cloud Computing becoming more and more in our everyday life and as business solution. Here are some examples on how Cloud Computing can be your solution too. Cloud Computing Open Standards and Interfaces promises more flexibility in the cloud. The article explains the benefits of open standards and interfaces. Cite this article as: Abhishek Ghosh, "Cloud Computing : How it is opening the opportunities at a lesser cost," in The Customize Windows, August 23, 2011, April 24, 2019, https://thecustomizewindows.com/2011/08/cloud-computing-how-it-is-opening-the-opportunities-at-a-lesser-cost/.